TALENT GALORE! in Summerside, PEI! rince Edward Island is all about getting close to the coast. And the North Cape Coastal Drive is as close to the Island coast as you can get. Weâ&#x20AC;&#x2122;ll show you the way along a shimmering necklace of irresistible sandy beaches, fishing harbours, secret coves, towering red sandstone capes, lighthouses and the tidal and wind phenomena of North Cape itself. 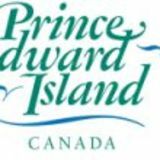 Watch for our symbol when Ready yourself and yours for a scenic, cultural you arrive on and culinary journey that covers all of Western Prince Edward Island Prince Edward Island. Photography used throughout the publication was taken by the following photographers: Anne Arsenault, Aaron Boeker, Boily Photo, Barrett & MacKay Photography, Heather Ogg, Oliver Childs, Prevail Creative, Kevin Molyneaux, Lionel Stevenson, Fresh Media, Stephen Harris, Kenny Driscoll and Tiny Town Media. e invite you to explore the city, towns and communities that form a necklace around the drive. Keep to the coast to enjoy a seaside scenic experience that is unparalleled on P.E.I.! Stop in and visit a former CN Caboose now café! While on your stop pick up goodies from homemade pastries, to cookies to homemade rolls and bread! The Stompin’ Tom Centre will transport you into the life and times of Canadian icon Stompin’ Tom Connors. You can even record your own Stompin’ Tom tune! Enjoy a tour of the gift shop, exhibit area, the school and farm house. Explore the magic of The Bottle Houses in Cape Egmont. The colorful houses, made of bottles, also offers magnificent gardens and a one-ofa-kind gift shop. Three of our seven sites can be found along the North Cape Coastal Drive. Experience the stories that make us who we are. each experiences come in many forms on the North Cape Coastal Drive: safe, swimmable, supervised beaches; intimate places; beaches for walking and collecting; and natural habitats we need to protect. Remember and look for these beach names as you tour the North Cape Coastal Drive. iminegash, Seacow Pond and Cape Egmont…just a few of the harbour names you won’t find anyplace else...in the world! Some are working harbours, some are sightseeing harbours, some have marine experiences for you to enjoy, but all have stories galore. Stories of life on the sea, of storms and of tragedies, of how boats got their names and of who’s got the biggest catch of the day. Fresh cut fries, seafood, gourmet burgers! Large selection of local Draft! Open daily at 11:30 a.m. Locally sourced seafood, burgers and more. Oceanside patio. Local beer. Open daily at 11:30 a.m.
Tignish Treasures Gift Shop Featuring the SeaSplash bath & body products made on site with PEI Irish Moss. Located on Maple St. across from St. Simon & St. Jude Church - Open Mon. to Fri. 9 to 5 & Sat. noon to 4. Abram Village Handcraft Co-op All items are PEI made. Sewn, knitted, woven and crocheted articles, Acadian shirts, embroidery, pottery, wooden and other items. 2181 Cannontown Road, Abram-Village. Moday to Saturday - 9:30 to 5:30, Sunday - 12:30 to 4:30.
here there are stories and traditions, there are one-of-a-kind takeaways you won’t find anyplace else. The North Cape Coastal Drive selection includes everything from savoury sea soaps to fine textiles and crafts, to Celtic, Acadian and Aboriginal artwork. Welcome to one of PEIâ&#x20AC;&#x2122;s most unique vacation destinations. Mill River Resort boasts a newly-renovated hotel with 81 large guestrooms, 72-site campground, championship 18-hole golf course and so much more! Curling and Yacht Club Inc. Licensed dining room, take-out and drive through with homemade cooking. MAPLE HOUSE BAKERY & CAFÉ A socially responsible bakery/café. Delicious & homemade using local ingredients! Featuring a breakfast/lunch menu. Takeout Available! Monday to Friday: 7am-4pm Saturday and Sunday: 7am-2pm Owned and operated by Community Inclusions Ltd. HOPING TO WELCOME YOU SOON! A prime location overlooking Summerside Harbour. Ideal for meetings, conferences, weddings and events. Featuring our new restaurant: Iron & Salt. Oﬀering 82 fully appointed rooms, AC, complimentary Wi-Fi, indoor pool, newspapers, ﬁtness centre, parking and 24-hour front desk. ride, tradition, folklore, family, stories, music, cuisine, livelihood…when we talk about celebrating the coast, we’re really talking about celebrating an entire way of life…we’re talking about the people of the North Cape Coastal Drive. And of course we’re talking about where you fit into the celebration equation. Find out more at www.northcapedrive.com. Variety show featuring local and other artists every Sunday night at 7 p.m. from July 7th to August 25th. For more information email events@ lennoxisland.com or call (902) 831-3109.
the Bideford Parsonage Museum. Come out to the Britannia Hall, 816 Canada Road, Rte. 178, Tyne Valley, for an evening of music and stories from performers of all ages. Canteen service available. For more information contact (902) 831-3133. St. Luke’s Hall Kitchen Party – Wed. evenings in July & August Join us every Wednesday in July and August for an evening of great entertainment. Shows start at 7:30 p.m. with special guests. Entertainment varies from bluegrass, country & western, step-dancing and more. Frequent MC is Perry Batten. St. Luke’s Hall, O’Leary Corner, on the corner of Hwy 2 and 142. For more information contact Adrienne MacDonald @ (902) 206-1888. Wednesday Evening with L.M. Montgomery Each Wednesday evening during July and August, you are invited to join us at 7:30 p.m. at the Bideford Parsonage Museum, 784 Bideford Road, Rte. 166. Guest readers read dramatically from the writings of L.M. Montgomery that were published 100 years ago, or guest speakers share their insights on this famous Prince Edward Island author and her writings. Everyone is welcome. A freewill offering in support of the Museum is appreciated. Light refreshments and conversation will follow. Join us at the Bideford Parsonage Museum on July 21st for our 20th Annual Strawberry Social. For more information call (902) 831-3133. St. Louis Community Social Join in some outdoor fun for the whole family on Sunday, June 23rd, at the St. Louis Community Social from 2 p.m. to 8 p.m. at the St. Louis Community Centre at 3563 Union Road! Our lineup includes our local backup band, The Small Town Jokurs (Joey Doucette & Kurk Bernard), along with other local talent. Beginning at 3 p.m., children will be treated to entertainment by Rent A Hero. There will be a Social Tea from 6 p.m. to 8 p.m., and Cavendish Fryer will be on site. Cost is $5 per adult or a family rate of $15. There will also be 50/50 tickets available. For more information please contact Beverley Gaudet at (902) 882-2699. June 28-30: 11th Annual St. Louis Bluegrass & Old-Time Music Festival Featuring bluegrass and old-time music with this year’s bands, Eddie Poirier & Grassline and Simply Blue from NB, Free Wheelin’ from NS, and The Stiff Family Band as well as bands from PEI. Gates open Thursday, June 27th, at 1 p.m. with entertainment on Thursday evening. Stage performances all weekend. Open mic, workshops and a Sunday gospel show. Lots of jamming. Event taking place on St. Louis Community Center Grounds, 3563 Union Road, St. Louis, PEI. For more information, call Eileen Brown (902) 882-3056 or Wilma Jones (902) 882-3518. TOUR OUR FESTIVALS June 21-July 1: 39th Annual Tignish Irish Moss Festival Tignish and surrounding areas celebrate a weekend of summer fun at the Tignish Irish Moss Festival with adult entertainment, youth talent, community pageant, bubble run in the park, Canada Day celebrations and so much more! Activities are primarily hosted on the grounds of the Tignish Credit Union Arena at 207 Phillip Street in Tignish, PEI. Some events will take place around the community, allowing visitors to experience our beautiful part of the province. TOUR OUR FESTIVALS July 19, 20 & 21: 6th Annual Miminegash Fire Department Festival Come immerse yourself in our local culture at the Miminegash Fire Department Festival. Enjoy live music, camping, canteen services, booths and games, 50/50, flea market, kids movies, pancake breakfast, toonie toss, washer toss, dunk tank, bingo, motorcycle run, Firemanâ&#x20AC;&#x2122;s Challenge, fireworks, and so much more. July 21: DiverseCity Multicultural Festival Celebrate multiculturalism with the PEI Association for Newcomers to Canada! Experience many cultural offerings including music, performances, displays, kidsâ&#x20AC;&#x2122; activities and delicious international food at this free, family-friendly event on Main Street, Alberton. July 28: Northport Day Come down to Northport Harbour at 298 Rte. 152, Northport, PEI, and watch the decorated boats sail by, enjoy our live entertainment, and feast your eyes on our amazing fireworks! Selected dates from July 12 to August 10: Activities at Jacques Cartier Provincial Park Join us at Jacques Cartier Provincial Park for entertainment, activities and fun for the whole family. July 12: Concert in the Park July 27: Christmas in the Park 6-9 p.m. Aug 3: Concert in the Park Aug 4: Sand Castle Building Competition 1-2 p.m. Aug 10: Halloween in the Park 6-9 p.m. For more information, call (902) 859-8882. July 3-August 21: Concerts in Garden Garden of Wyatt Heritage Properties, 205 Prince Street, corner of Granville and Prince Streets, 6:30-8:30 p.m. Selected dates from July 3-27: Activities at Linkletter Provincial Park Concert in the Park 7-9 p.m. Selected dates from July 7 to August 3: Activities at Cedar Dunes Provincial Park July 7: Sand Castle Building Competitions 1-2 p.m. July 19: Christmas in the Park 6-9 p.m. July 20: Concert in the Park 7-9 p.m. Aug 3: Halloween in the Park 6-9 p.m.
World class musicians in the acoustical splendour of historic St. Mary’s, Indian River. Presenting folk, jazz, blues, classical, choral and traditional music all summer long. Adult strongman competition, adult singing competition, youth talent competition, rising star competition, kitchen party, parade, horse pull, harness race, petting zoo, judging of livestock, flowers, crafts, food, 4-H projects, midway and much more! Thank you to all our wonderful sponsors and volunteers! Tel: (902) 853-3013 Email: pcex2013@gmail.com; www.peiae.ca/princecountyexhibition P.O. Box 169, Alberton, PE, C0B 1B0. Featuring bluegrass and old-time music with bands from the Maritimes. Gates open Wednesday, July 17, at 1 p.m. with entertainment on Thursday evening. Open mic will feature one of our bands, workshops and a Sunday gospel show. Lots of jamming. Event taking place at 171 Chiasson Road, Tignish, PE. For more information, visit our website: www.redclaybluegrass.com. Come and enjoy one of PEI’s most exciting events with the Canadian Oyster Shucking Competition, where the best shuckers in the country come to compete. This year we are celebrating our 55th anniversary by featuring the best oysters in the world and the best music in Canada. Rock The Boat MusicFest on August 3rd will feature some of Canada’s top musicians. PEI’s best-kept secret! For more information and a full schedule of events, go to www.tvoysterfest.ca. Camping and transportation packages available. AUGUST August 18: 42nd Annual Blueberry Social Green Park Shipbuilding Museum and Yeo House Enjoy a wonderful Sunday afternoon (1-4 p.m.) on the grounds of a Victorian shipbuilder’s home while indulging in delicious homemade blueberry pie and ice cream! Enjoy local entertainment as well as games and activities for all ages. Green Park Shipbuilding Museum and Yeo House is located at 360 Green Park Road, Port Hill. Phone (902) 831-7947 for information beginning in June. Visit our website at www.peimuseum.com. August 25: St. Simon & St. Jude Parish Picnic This is a traditional parish picnic at its best! After the 11 a.m. Mass, enjoy fantastic local entertainment, lobster and turkey suppers, games for the young and young at heart, canteen service, children’s activities, bingo, 50/50, lotteries and much more. A great time for locals and visitors alike; meet old friends and make new ones! See you there! 313 Church Street. Check out our website: www.stsimonandstjude.ca. SEPTEMBER September 15: Scarecrow Contest Kool Breeze Farms Annual PEI Scarecrow Contest with wagon rides, scarecrows, games, music and loads of family fun. Check out the field of straw bale creations and try your luck in the corn maze (which is open from late summer to the end of October). Visit us at 231 Read Drive, Summerside, telephone (902) 436-1900 or like our Facebook page or visit our website www.koolbreezefarms.com for more info. OCTOBER Thursday, October 17: Culture Summerside Historic Ghostwalk MacNaught History Centre and Archives 75 Spring Street, Summerside Volunteer actors bring to life the history of Halloween and the darker side of Summerside and Island history in the annual Ghostwalk. Ten vignettes, researched from historic sources, and written with all ages in mind, are presented throughout the historic district of Summerside. Guided tours leave MacNaught every ten minutes from 6:30 p.m. through to 8:30 p.m. Tickets must be pre-booked at (902) 432-1332 to secure tour time. Dress warmly. wyatt.programs@city.summerside.pe.ca www.culturesummerside.com. 2019 FALL FLAVOURS FESTIVAL Fall Flavours is an authentic culinary festival that 2019 takes place across the Island in September. There are four unique events taking place throughout September along the North Cape Coastal Drive. Truly a one-of-a-kind experience as we celebrate our incredible food in delightful venues with entertainment. Events are hosted by Food Network Celebrity Chefs and our own Island Chefs. For more details, please visit fallflavours.ca/events/ north-cape-coastal-drive/. Oysters on the Pier ~ September 7, 2019 A Signature Event showcasing the PEI oyster. Overlooking one of the many beautiful bays, interact with our Food Network Celebrity Chef, explore and taste the many reasons we are The Canadian Oyster Coast! For more information visit www.northcapedrive.com. Lobster Party on the Beach ~ September 8, 2019 Beef n’ Blues ~ September 13, 2019 “Clammin N’ Jammin” Festival ~ September 13 & 14, 2019 For more information, visit www.fallflavours.ca. One of PEIâ&#x20AC;&#x2122;s Must See Attractions!